My name is Sharon Petersen. 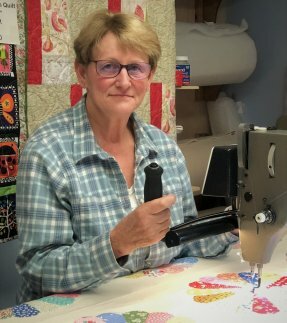 I started my longarm quilting service in 1997. The business has grown to include a “Gammill Classic” as well as a computerized “Statler Stitcher”. Both machines occupy space at our store in Fairlee, VT in the beautiful Connecticut River Valley between the Green Mountains of Vermont and the White Mountains of New Hampshire. My approach to quilting is simple and straight-forward. I treat each quilt top as unique, using a quilting pattern which enhances your creativity. Let me work with you to finish your project which will become a treasure in the future. 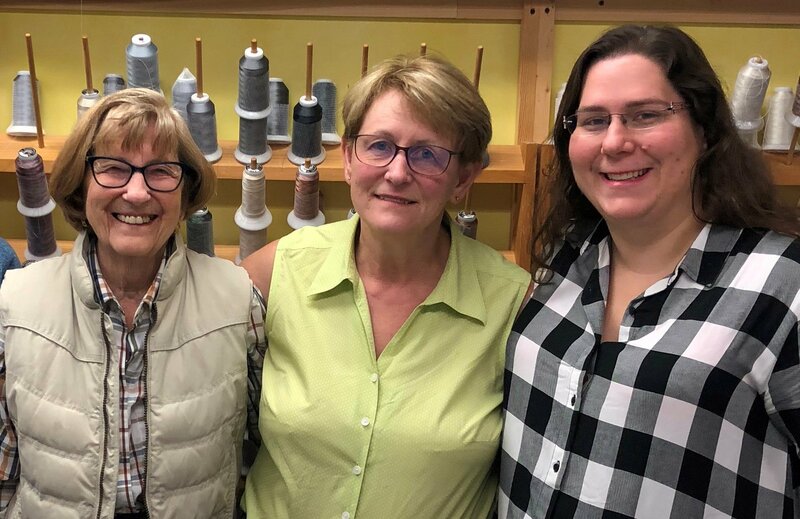 We offer a variety of quilting supplies and fabrics, specializing in wide (108 inch) backing fabrics thus enabling you to finish your project with ease. We continue to offer a “learning environment” with classes for all skill levels. Please see our "Classes and Retreats page" for more information. We also vend at a number of quilt shows. Please see our “Events Page” for dates of upcoming shows we will be at. Other members of the team include my husband, Andy Petersen, who continues to be a major supporter of the business with his financial, wood working & advertising skills. Don’t be surprised if a male voice answers the phone. Retail sales: Abby, Alison, Catharine, Carol, Chelsey, Cheyenne, Bev, Martha & Morgan. Please come visit us, have some fun and browse the shop.